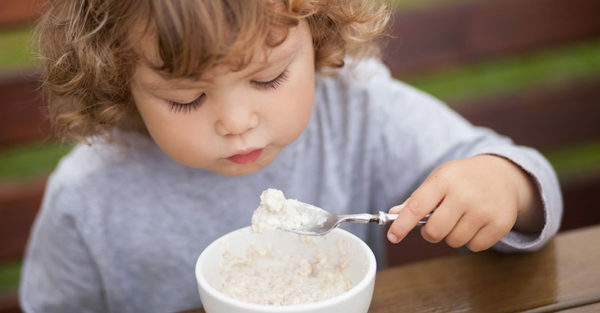 When it comes to food intake, toddlers are notoriously fussy. What they will eat one week they won’t touch the next, and their diets seem to be filled with fruit, rice crackers and pasta without the pasta sauce. How on earth do they get the nutrition that they need for optimal growth and development? While it is essential that small children learn to eat a range of different foods, it is more important they get the key nutrients that play a vital role in the development of growing toddlers. Here are a few of the important ones to focus on and the foods that contain them. Very few Australian adults, let alone children, get the recommended daily intakes of omega-3 fat that plays a crucial role in brain development and cognitive function. While small children may be happy to eat sushi or even tuna, these foods are not overly high in omega-3 fat. Instead, both fresh and tinned salmon is a much better option. If you can’t encourage your toddler to eat salmon, try adding a child-friendly supplement into their daily routine. Iron deficiency is extremely common, especially for children who are reluctant to eat red meat. While chicken and fish do have some iron, the amounts are relatively small compared to that found in red meat. Ideally, meat eaters should be consuming a small serve of red meat three to four times each week. Child-friendly options include a cutlet, bolognese sauce with pasta, meatballs or a lean sausage. Eggs, baked beans and whole grains also contain some iron. Iodine deficiency is relatively common in Australia as our soil is very low in iodine and while we used to get plenty via our milk, we get far less nowadays that processing methods have changed. Iodine plays an essential role in keeping the thyroid healthy, but it also aids cognitive development in children. Iodine is found in shellfish, seaweed and iodised salt, so if your little one enjoys sushi regularly, that will be adding iodine into their diet; as a safeguard, when using salt with your cooking, always choose an iodised variety. In the past, calcium intake for young children has not been a cause for concern as Aussie toddlers have traditionally consumed plenty of dairy in their diet. With a sudden increase in the consumption of plant-based milk, we are seeing more toddlers with low calcium intakes as not all plant-based milk contain added calcium. Toddlers need 2-3 serves of calcium-rich dairy a day, which means a serve of milk, yoghurt and cheese every day. If your preference is for non-dairy milk, make sure it contains added calcium. With small children’s general preference for all things white, it can be challenging to get the 14-18g of dietary fibre needed for optimal health into their diet each day. Too little fibre can leave little ones constipated and uncomfortable. Simple ways to boost their daily intake is to choose higher fibre bread and cereals, add extra vegetables into their meals and include 1-2 pieces of fruit in their diet each day.